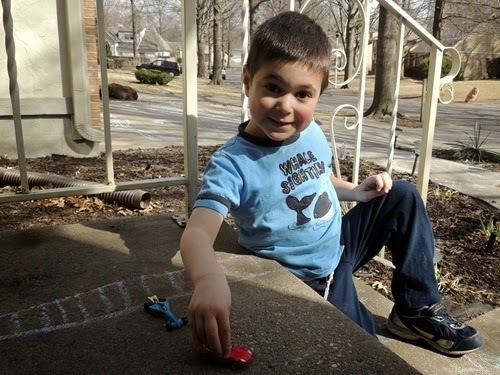 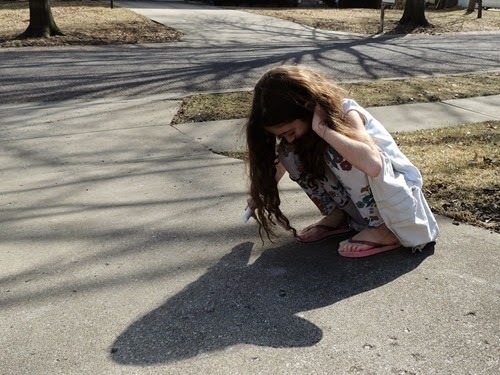 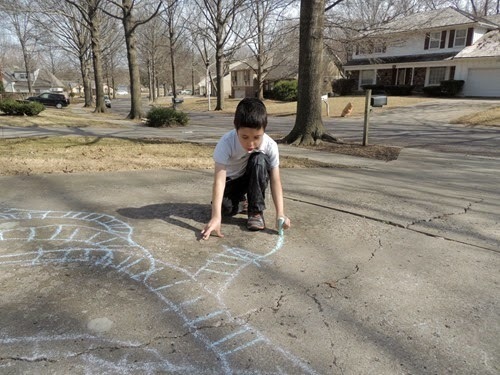 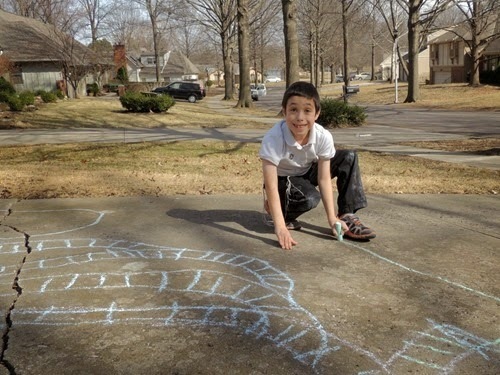 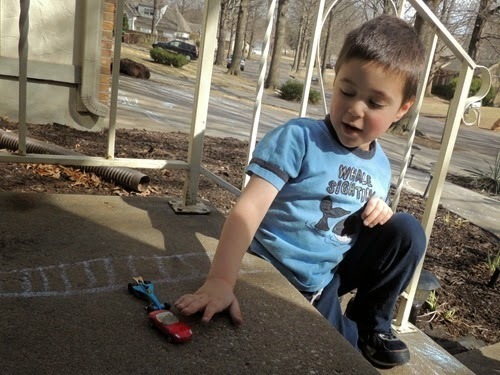 In the beginning of March I was sharing pictures of the kids shoveling the driveway…now we’ve been having major spring like weather and our driveway is covered again – this time with chalk! 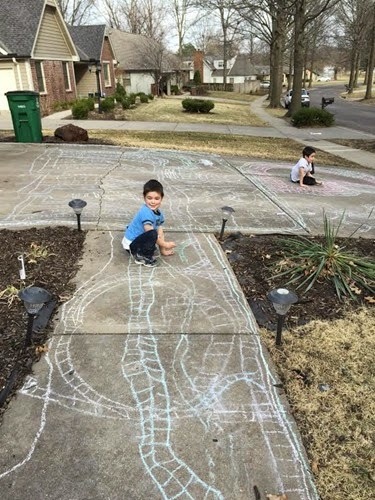 I mean, it’s really really covered with chalk! 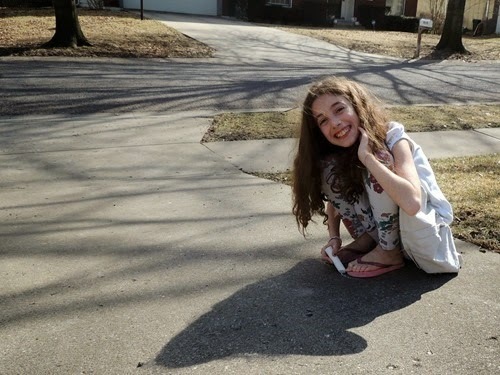 I’m hoping it’s really spring now, no more cold weather please!